Check out what people are saying about Malama 'Aina Chem-Dry! Do you read online reviews? We do, and so do other customers. That’s why we’d love it if you take a few moments to review your experience with us. Leaving us a review of the work we performed helps us understand where we can improve as well as how we satisfied your needs. 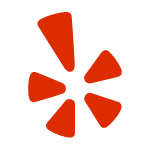 Submit your review by visiting one of our local listing reviews sites by clicking the icons below. Kelii did an amazing job, above my expectations. Dealt with other carpet companies before. This guy put them to shame! And my carpet wasn’t left wet afterward. My teens came home from school and thought they walked into the wrong house!! Oh my gosh, we bought our house a little over a year ago. We have been procrastinating about changing from carpet to wood floors but it would require way more than we want to handle. Well, the carpet needed cleaning so I called Malama ‘Aina Chem-Dry and they came out to review the job and give me an estimate. Got my appointment set-up. Even though it should have been a two person job, the owner sticks to his word and came and did it on his own! Platinum Level job!!!! The carpet feels refreshed and softer! Just call them, you won’t regret it! I was referred by a friend to use Malama Aina Chem-Dry to do our move out carpet cleaning. Keli’i came out and cleaned the carpets and I was amazed at how great the carpets looked when he finished and how reasonable the price was! I will DEFINITELY be using Malama Aina Chem-Dry again at my new house and any time I need carpet cleaning in the future!! Thanks for making the process so easy and such a great experience! The cleaners who came to my apartment were exceptionally thorough and made our carpet even cleaner than when we first rented the place. I fully recommend them for anyone wanting their apartment move-out ready. This company is awesome! The professionalism and workmanship was phenomenal. The price and service can’t be beat. I already recommended this company to all my neighbors in Halsey Terrace on the facebook page. Honestly so grateful for them! Unfortunately there was a miss communication with my roommates and I need to set a very last minute appointment. I was scared because it was a holiday when I tried calling, but they were open when I called. I had also been trying to set an appointment for a few days, but either everyone was busy, not willing to drive to my apartment, or charged me way too much for the short noticed. Thankfully when I call Malama ‘Aina Chem-Dry they were not only willing to charge me normal price, but also willing to drive all the way into town AND fit me in the NEXT DAY! Honestly awesome workers, and would recommend to others. Rented a new house that had been said to have been professionally cleaned. The carpet looked gross and had red stains and an awful odor. As a last ditch effort I saw a post for them on Facebook and gave them a call. Answered right away and came out first thing the next morning to assess (on a sunday!) And came back on Monday to clean. Both husband and myself were extremely appreciative of this, and loved how awesome they were with my 2 year old. They made no promises on removing the majority of the red stains or the mildew odor however I want to say most of the stains were removed or lightened dramatically. The carpet feels so much better and it dried extremely fast! Great job! Showed up on time and went straight to work. Carpet was very dirty and looked so much better when they completed. And a very reasonable price for the service! I recommend anyone call if they want to clean and refreshed carpets! Keep up the good work. Moving away from Hawaii was hard enough, but with our not being able to be there for the cleaning & final inspection of our home… it was comforting having someone dependable that we could count on to take care of that. Mahalo, braddah Kelii! Cheee! When we called for price to clean our condo, it was quoted for cleaning all the rooms. After they left we realized they didn’t move the couch and clean under it. Called them and they replied cost was for exposed carpet only. Not happy about this , since we are listing condo and expected all the area cleaned. Nothing was relayed to us before they left that this wasn’t included . Need better communication. We are so pleased with the awesome job that you and your fiancé did at our hale! Mahalo nui loa! We look forward to utilizing your services again. Aloha! Very professional. Carpets look brand new! They called ahead to confirm and did an amazing job. I would highly recommend them for all your carpet cleaning needs! Hello just wanted to say how bad I felt because when Keli’i came to do my carpet at first I wasn’t completely satisfied then I realized my carpet was so trashed that they did an excellent job and I shouldn’t have expected it to be like brand new. I have gone through many other carpet cleaners after Malama Aina Chem-Dry and regret going with any of them. I will definitely go with Malama Aina Chem-Dry from now on no more other cleaners. I guess it’s like learning from a lesson I was taught. I learned the hard way. Apologies to Keli’i and Malama Aina Chem-Dry, you guys are the best hands down. Keli’i is a champ! Very professional and super nice and accommodating. He came and cleaned our 7 year old couches. They are good as new now. He even did it for less than the quoted amount. Great job! I recommend for anyone who needs carpet or couch cleaning. Spoke with Kelii he was able to get me in literally a few days from when I called! Great service, finished our carpets super quick and let me know if the stains come up again to call him and they will come back. So far so good (and we had a bad section from our dog having accidents) I would highly recommend and will be using them again in the near future. Kelii did an excellent job! He was very accommodating with my schedule and provided top notch service! Great service and great products. I had Kelii help me clean a couch and love seat that probably were never cleaned for 7 years, and it showed. He did a great job even wiping down after to make sure the microfiber laid the same way. Very professional. Will call them to do my truck interior later. Professional and flexible, I couldn’t ask for a more humble person to help me sanitize my house. I would highly recommend especially if you have pets that urinate on your $300 area rugs! Absolutely the best carpet guy! I was very nervous when we were moving out due to the fact my fur baby did bad business everywhere. My husband almost gave up to say we just put new carpet but I wanted try Malama ‘Aina Chem-Dry service before and it WORKED!!!! thank you soooo much for saving us so much $$$. I will recommend them 🙂 They are very professional and on time (not Hawaiian time lol) I will use their service again! I definitely had a 5 Star experience with this company! The professionalism, quality of service, pricing and expertise of this individual was impeccable. He made a red juice stain that I was extremely concern about vanish! I intend to use them the remainder of my time living on Oahu so without a doubt, I would and already have recommend them to everyone in my housing community. Fantastic. They responded promptly to my requests for a quote and then an appointment. Kelii was extremely professional. He stayed true to the price that we were quoted. He worked quickly and efficiently. Our carpets ended up cleaner than they were the day we moved in! I’m sure my landlord will be thrilled about that! Awesome service! Fast response. Very professional. Amazing work done. Amazing prices! I needed someone to clean my carpets and decided to call Malama Aina Chem-Dry. Best decision ever! There was a big stain in the carpet by the front door. According to the landlord, other carpet cleaners were unsuccessful in removing it. After Kelii completed his service, I was amazed to see the stain was completely gone!!!! I wish I had taken before and after pictures. My landlord is in complete shock. We will both be recommending their service to others. Thank you so much Malama Aina Chem-Dry! Friendly and professional, they worked quickly and efficiently to make my sofa look new again! I will definitely have them come back to clean the carpets. The are the nicest folks on the island. Easiest to deal with. ON TIME. Great work. I used them to clean 2 oriental rugs that were in very bad shape. My fault. They picked them up, spent days soaking, cleaning, and drying them. Then they delivered them on my schedule. They look new. The cost was about half of what I thought it would be. You simply have to use them. Mistake if you don’t. Fast service. Very professional. Great price. I will definitely use them again! The only person I trust to service all my rentals. Always on time and great communication. Thank you, Keli’i! I was very impressed with their customer service from the beginning and they did really professional job. Strongly recommend! This company is simply amazing! Very professional and the communication is Outstanding…! When we had to reschedule because of the hurricane we received a prompt appointment!. They arrived on time and the work they did on a carpet, that didn’t look like it could be saved, was beyond belief… the owner Kelii Ross does a superior job as do all of his employees. Would recommend this carpet cleaning company to everyone! 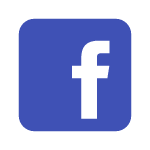 Will use this company again and again… you should too! Malama ‘Aina Chem-Dry is amazing! Exceeded my expectations! Highly Recommend Keli’i and Malama ‘Aina Chem-Dry! Call them. You won’t be sorry. Had a bad experience with another company. Carpets were still stained, soaking wet, and upholstery was still dirty when scratched with a fingernail. I called Chem Dry right away to see if they could save me, and they did. Said they would be here at the earliest 4 pm (called at 1200) they got here at 2:30 came in, cleaned the spots because the carpet was still wet and smelly. They sanitized, smells soooo much better and only charged for materials. The guys were really out to help us out. Thank you sooo much Malama ‘Aina Chem Dry guys!!! Our carpet is nearly twenty years old and Kelli got it looking almost brand new. Highly recommended! I was referred by a friend to use Malama ‘Aina Chem-Dry to do our move out carpet cleaning. Keli’i came out and cleaned the carpets and I was amazed at how great the carpets looked when he finished and how reasonable the price was! I will DEFINITELY be using Malama ‘Aina Chem-Dry again at my new house and any time I need carpet cleaning in the future!! Thanks for making the process so easy and such a great experience! 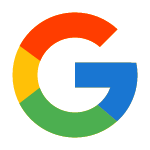 Awesome work… Awesome customer service and Extremely friendly and knowledgeable. They got a stain out of my white Carpet that I never thought would come out. I would recommend Malama ‘Aina Chem-Dry to everyone. Highly Professional, very fast and the cost for what they did was very reasonable. I was amazed at how fast the carpet was dry also, we were able to walk on the carpet almost immediately. Thank you Keli’i and staff you guy’s did an Awesome job!!! Very professional courteous quality on time immaculate job mahalo! We haven’t had our final inspection yet but I am soo pleased with this company and I don’t foresee any issues with our inspection as far as the carpet is concerned. Extremely responsive to messages, professional, and very nice. The prices are fair too, which is a big plus. Thank you Kelli! I highly recommend Malama ‘Aina Chem-Dry. Showed up on time and did a great job! Even removed stains that had been present when I first moved in. They’re nice too. My landlord gave me problems when I moved out saying that the carpet wasn’t clean, even though it was. They agreed to come do it again, which really saved me. They seem to always have the customer’s best in mind. Great job on our move out cleaning! Very thorough! I would use again and highly recommend. 5 star professional efficient work. Keoni and Phil did a wonderful job cleaning my carpet. Leaves a pleasant orange scent when pau. Those 2 guys are also very friendly! Mahalo for your good work! This dynamic duo are such genuinely good hearted people! They made my wood-look tile look like it was fresh out of the box ! After a year of neglect, we were in desperate need for their services and they sure didn’t disappoint. Professional, on time, and caring. My loyalty will stay with Keli’i and Gigi! Thank you so much for all your hard work! We are very pleased! Excellent, fast and friendly service. Keli’i worked around our schedule. He did our living room, family room, stairs and hallway in an hour. Amazing work! We will definitely use again. Referred your company to our friends and family. Mahalo!!! Great company! Did a great job on my move out cleaning! I will use them again! I’ve used them on two separate occasions and couldn’t be happier. Very friendly, accommodating and awesome service. I most definitely recommend their service. Thanks Kelii. Excellent job and superb customer service! Highly recommended! I called the day before and was able to get an appointment the next day. My living room carpet looks brand new and smells really good. I also appreciated Kelii’s no fuss approach. He did not try to sell me more than what was needed. I had previously called for a quote at another company and the salesperson was trying to get me to clean all of the carpet in my house when all I wanted to do was my living room. Awesome service! Friendly guy and I feel good supporting local business. Kelii was professional, able to quote accurately and did a great job. We will definitely be calling him again for our next service. Highly recommend!! I’ve had my carpet cleaned by 3 other companies and no other company was able to do what Kelii did. He was able to get rid of dog pee smell and remove stains from white carpet. He was professional, fast and the price was exceptional! He far exceeded my expectations! I will surely be calling him again!! I put out 5 calls for quotes with different carpet cleaners and they got back to me within an hour…on a Sunday. Not only did he end up being slightly less expensive he made it clear that they would fit me into their schedule the next day even if it required working after normal hours at no extra charge. You can’t find that kind of customer service anymore and I was deeply impressed. They called about 4 hours before I was expecting them to let me know some time had become available and if I was up to it they could come out sooner. About an hour later they showed up, walked the spaces I wanted cleaned, asked me about certain stains that concerned me and pointed out a few others I hadn’t noticed. I was then Re quoted a fair price before the work began and after 2 hours they were done and my carpets looked great. Some of the tougher stains didn’t come out but you had to get close to notice and some of the areas where the carpet was worn and matted and dirty still looked worn and matted (but clean). No pressured up selling and no hidden costs. Great work, professional and honest. Called Kelii and got an appt. that fit our schedule. He quoted us a price and stuck to it. He was on time and he did an excellent job. We had a few stains that he was able to remove that a previous carpet cleaning service wasn’t able to and overall, it was probably the best carpet cleaning job we’ve had. On top of everything else, Kelii has excellent interpersonal skills, and is just someone you want to do business with. I will be doing business with him again and I highly recommend his service! Very professional and friendly service from both Keli’i and Gina! He made very clear what needed to be done and did not try to recommended treatment that I didn’t need. The process ran very smooth and my carpets looked even cleaner than they did when we moved in. Highly recommend this business! Thank you again! Very friendly, knowledgeable, Professional and Great prices. Keli’i and his team did an Awesome job and worked very hard to clean my carpets. They got some stains out of my carpet that I really didn’t think would be able to come out and thought I might have to replace the carpets, but they did an awesome job and proved me wrong. I would definitely recommend Malama ‘Aina Chem-Dry to each and everyone out there that needs their carpet cleaned. Mahalo Malama ‘Aina Chem-Dry. Absolutely satisfied with the service and professionalism this company offered me. I highly recommend them to anyone who has pets and wants car or household items cleaned. Excellent service with a fair price. I will be using them as my go to company to have everything I need done. Mahalo to Phill and Kelii. They were excellent!!! Very responsive and even stood behind their service. I would highly recommend this company to anyone needing their rugs cleaned. 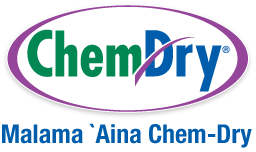 Call Malama ‘Aina Chem-Dry Today! Serving all of Oahu, including: Honolulu, Waipahu, Pearl City, Ewa Beach, Kapolei, Mililani, Waipio, and the surrounding areas. © Malama `Aina Chem-Dry 2019. Independently owned & operated on Oahu. /// Site designed by Kite Media.